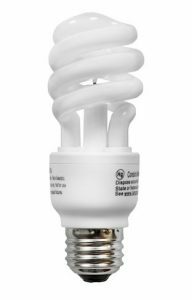 Since 2007, The United States has been phasing out incandescent light bulbs to replace them with compact fluorescent light (CFL) bulbs. By the end of 2014, most stores will not stock any more incandescent light bulbs. Compact Fluorescent Lights surely save a lot of energy and many people think that the energy savings and the reduction of emissions from electrical plans will greatly help the environment. But as I’ve written in past blog posts, the use of fluorescent lights can have serious health risks for people and in particular for people with sensitive skin such as rosacea. In 2013 Men’s Health magazine shed some light on the potential health risks involved with using CFLs. They interviewed a group of researchers at Stony Brook, who conducted a series of experiments showing that these Compact Fluorescent Lights allowed ultraviolet rays to leak out. The CFLs leaked enough ultraviolet light to cause damage to skin cells that is equal to a day at the beach without any sun protection. The researchers at Stony Brook used skin tissue cells in petri dishes and placed them under a CFL light bulb to see if the light caused any damage to the skin cells. The results were astounding: data showed that within 42 seconds, the cells reached the amount of UV radiation exposure that is considered safe for an eight hour period (Threshold Limit Value). That means if you’re going to sit under a CFL light bulb for eight hours you’re going to receive thousand times more UV radiation that your skin can tolerate. This study revealed that the response of healthy skin cells to UV rays emitted from CFL is consistent with damage from ultraviolet radiation. This excessive sun exposure could make the cells more susceptible to mutation and even skin cancer. 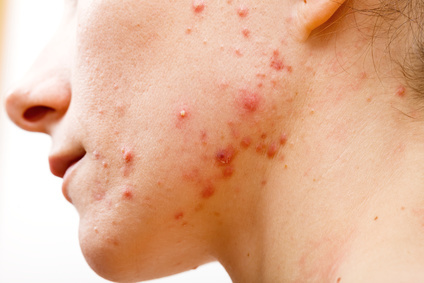 In contrast, under the light of incandescent light bulbs with the same intensity, the skin cells didn’t show any damage. How do UV rays escape from these CFL light bulbs? The fluorescent light bulb contains a mixture of mercury and argon and when electricity excites the molecules, they in turn strike the phosphor coating on the inside of the bulb, which then gives off visible light. But the researchers at Stony Brook discovered that the compact fluorescent light bulbs that they purchased randomly at stores in the area all contained little cracks in the phosphor coating, allowing UV radiation to leak out. If you care about the environment you may think that’s the use of CFLs may save a great deal of energy, which would be good for the environment. However, the disposal of CFL light bulbs is very tricky because the bulbs contain mercury. If a CFL light bulb breaks, the cleanup procedures are very complicated. In 2012, a team of researchers at the Aristotle University of Thessaloniki in Greece reported that when a CFL bulb breaks, harmful levels of mercury vapor—a neurotoxin with numerous potential health effects—can linger some 4 hours afterward. The IKEA halogen light bulb, which is a good alternative to CFLs. Sadly, IKEA doesn’t sell these anymore. So where can you safely use CFL light bulbs? I would think using it at a safe distance from your skin and in rooms that you don’t use very much such as the garage, the laundry room or even outside. But in the living room, the bedroom or the office I would suggest using alternative light bulbs. 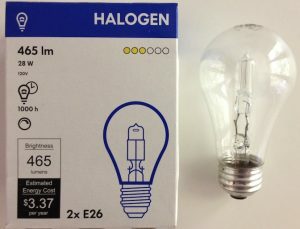 I’ve been stockpiling incandescent light bulbs for a number of years now but the particular light bulb that I really like to use is the halogen light bulb from IKEA, which for some reason, they currently don’t manufacture anymore. Mironava, T., Hadjiargyrou, M., Simon, M. and Rafailovich, M.H. (2012) The effects of UV emission from compact fluorescent light exposure on human dermal fibroblasts and keratinocytes in vitro. Photochem Photobiol. 88:1497-506.